The totalitarians are back on the march in Germany. 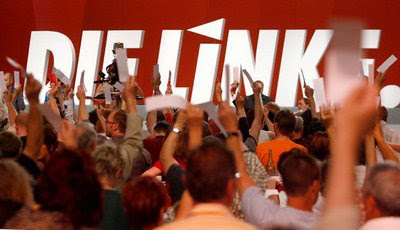 Die Linke-the left Party-is the reincarnation of the old East German Communist Party, with some Trotskyist and left social democrat add-ons. Formerly fairly strong in the East, the communists are now making electoral gains across Germany. New Zealand Socialist Worker is trying to build a similar party in this country.